Posted 4:36 pm by Al Broberg & filed under Blog. Posted 5:03 pm by Al Broberg & filed under Blog. It is not uncommon to hear people say that there is no such thing as a perfect diamond. But there is such a thing as a “D” color, Flawless diamond. A “D” color is the highest color grade in the color grading scale of the Gemological Institute of America (GIA), by far the most widely used diamond grading scale in the world. A “D” color diamond is, by definition, a Type IIa diamond, having no nitrogen or boron impurities because such impurities would impart some color to the stone. 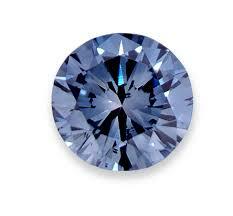 And only 2% of all natural diamonds found in nature are Type IIa, giving you some idea of the rarity of such a stone. “Flawless” is the highest clarity grade in the GIA’s clarity grading scale. A Flawless diamond has no visible imperfections at 10X magnification. In reality, it has no visible imperfections at much greater magnifications since the labs power way up to see what they can find and then power down to see if it is still visible once they know where it is. The GIA annually takes in for grading half a million diamonds over 1 carat and says that less than one half of 1 percent are either D, Flawless or D, Internally Flawless. The American Gem Society says that less than one quarter of 1 percent in their laboratory get graded either D, Flawless or D, Internally Flawless. Posted 6:26 pm by Al Broberg & filed under Blog. Posted 2:00 pm by Al Broberg & filed under Blog. Synthetic diamonds are diamonds grown in a laboratory rather than being found (i.e. mined) in nature. They are real diamonds. They have the same chemical composition and crystal lattice structure as those found in nature. But they are grown in a laboratory using one of two different methods. The High Pressure High Temperature (HPHT) method mimics the way diamonds are grown naturally in the earth’s mantle about 100 miles beneath the surface of the earth, where high temperatures and pressure transforms carbon into diamond. The HPHT laboratory method uses big presses to create the heat and pressure necessary to do the job in a much shorter period of time. The other method is called Chemical Vapor Deposition (CVD). It uses microwaves to bombard a carbon infused cloud which causes carbon to rain onto a natural seed crystal and grow into a diamond. This is a relatively new technology. Diamonds have been grown in laboratories for both experimental and industrial uses since the 1970s. These diamonds were industrial grade and the labs had difficulty growing diamonds that were large enough and high enough quality to be used in the jewelry trade. 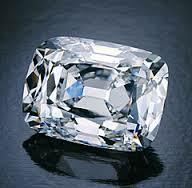 Growing diamonds in the near colorless range that the jewelry trade demands was especially challenging. That, however, is changing. Rapaport magazine reports that the New Diamond Technology facility in St. Petersburg, Russia produced a 60 carat rough diamond in 2015 using their HPHT method which set a record as the largest laboratory grown diamond ever. They also produced in 2015 a 32.26 carat, colorless, high quality rough diamond from which was cut a 10.02 carat square emerald cut diamond which has graded out at E color and VS1 clarity. The NDT facility has over 50 HPHT presses which can produce 5000 carats per month. Up to 16 colorless crystals weighing 6 to 10 carats each can be produced in each press in a cycle taking 10 to 12 days on average according to the Rapaport report. In addition, there are many new players in the diamond growing business. Labs in China, Germany, India, Russia, the United States and Taiwan are growing diamonds up to 2 carats polished and in very good qualities. These diamonds are now moving into the jewelry trade pipeline and will present challenges to jewelers who will need to be able to identify them. Obviously, there will be big trouble for any jeweler who unwittingly sells a lab grown diamond without identifying it as such. Posted 3:30 pm by Al Broberg & filed under Blog. I have customers who confuse laboratory certificates with appraisals and that is entirely understandable. A laboratory report is independent, third party verification that the gemstone in your jewelry (ring, for example) is, in fact, really a (for example) diamond; that it has the measurements and carat weight specified in the report as well as the color, clarity and cut specified. The laboratory report usually describes the single most valuable part of the piece of jewelry being appraised but it does not assign a dollar value to it. Some laboratories do have partnerships with appraisal firms and provide an appraisal for the gemstone by itself as a separate document. But most appraisals are for finished pieces of jewelry and so there is always the mounting which adds value and sometimes side stones which do as well. If the piece is designed and manufactured by a famous and popular designer, that can add significant value, especially if the piece is signed. So, a well done appraisal includes most of the information that is on the laboratory report but includes additional information as well on the mounting, side stones, designer, etc. and assigns a dollar value to it. That dollar valuation can vary significantly depending on the purpose of the appraisal; but that will be the subject of a future post. Posted 4:13 pm by Al Broberg & filed under Blog. Posted 12:21 pm by Al Broberg & filed under Blog. In my last blog post, I discussed how, contrary to popular myth, diamond prices do not always increase. In 2014 and 2015, diamond prices were down. But what does the future hold for diamond prices. There was an article in Rapaport magazine last November which addressed this issue. It reported on the expectation of DeBeers’ executives that the annual supply of rough diamonds mined is about to peak and plateau at around 160 million carats. By 2030, they expect the annual supply of rough diamonds mined to decrease to around 115 million carats. There is some finite supply of diamonds in the world. In 150 years of exploration, only 60 commercial mines have been discovered and only 7 of those are major producers. As the end of the commercial life of the existing mines appears on the horizon, diamond mining companies’ have resorted to exploring all over the world, often in extremely remote locations with brutal climates (i.e. northern Canada and Siberia) and “challenging natural obstacles” to overcome in unearthing diamonds. Add to this scenario,the emerging markets in India and China caused by their increasing prosperity and growing middle classes. This will add significantly in the future to the demand side of the equation. So, we have an utltimately limited and annually declining supply of rough diamonds that is increasingly expensive to find and extract. This will be combined with growing populations of people who believe they can afford and who will increase demand for diamonds. If this future of limited and declining supply combined with increased demand materializes, diamond prices will increase in the foreseeable future.